WHEN DUTY CALLS: The Foreign Affairs and Foreign Trade ministry has tapped Sandra Grant-Griffiths to serve as Jamaica’s ambassador to Mexico. The current Consul General of Jamaica in Miami, Grant-Griffiths is set to commence her tour of duty in September. 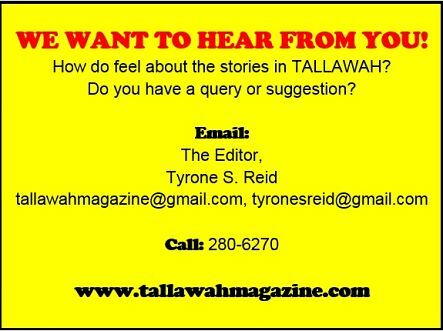 She’s a former honorary chair of the Jamaica USA Chamber of Commerce, as well as Jamaica Women of Florida. 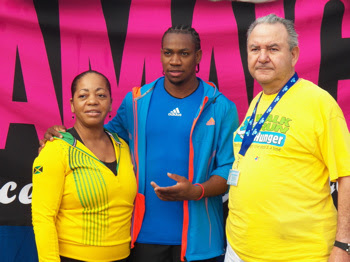 Above, Grant Griffiths is pictured with sprinter Yohan Blake (centre) and President and Chief Executive Officer of Food for the Poor, Robin Mahfood, at Food for the Poor 5K Walk/Run for Hunger, last November in Miami. 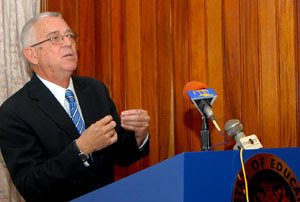 BY THE NUMBERS: “The Ministry of Education is not satisfied with the outcomes related to these two core subjects – Mathematics and English – as they are both important for economic growth and personal development.” So concludes Education minister Ronald Thwaites, addressing a post-CXC results press conference in Kingston on Monday. This year, only 9,661 Jamaican pupils (of nearly 23,000) who sat CXC Mathematics scored a passing grade, an increase of five percent over last year.